During the annual State of the Gap program, the Hillsboro Town Council called attention to the efforts of several community leaders. During the annual State of the Gap program, the Hillsboro Town Council called attention to the efforts of several community leaders.. The council presented two Community Service Awards. The first was to the Stoneybrook Market for their willingness to pitch in on numerous endeavors, from designing and building the outdoor Gap stage, to volunteering at events, to helping lobby the Northern Virginia Transportation Authority to fund the town’s traffic calming improvements. The second was presented to the Hidden View Bed and Breakfast owners Cheri and Ray Shields, who jumped in as a new business to help with many town projects and created the popular Boo in the Gap event. 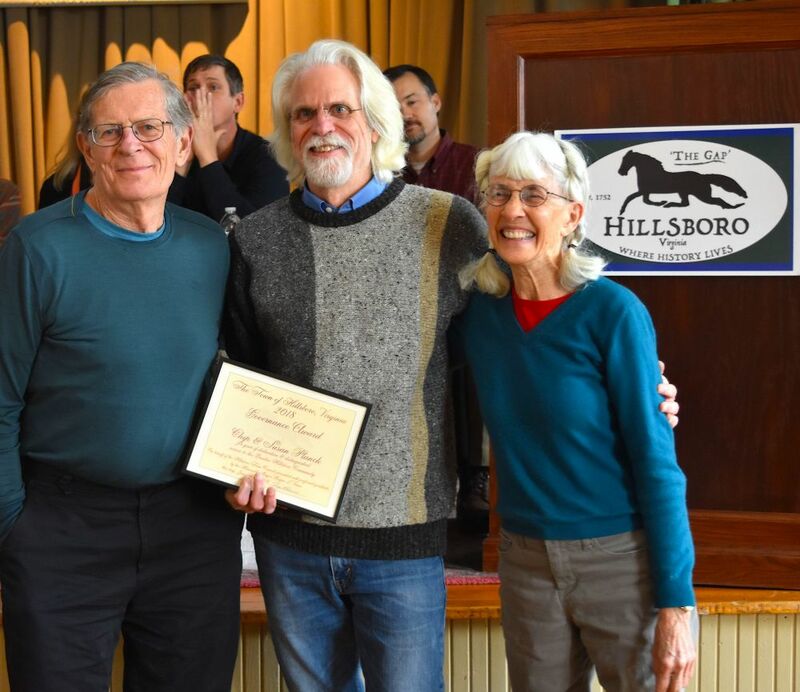 The Innovation Award was presented to Bruce Davis, owner and founder of the Waterford Telephone Company, which brought broadband service to the town’s residents and businesses. The Governance Award was presented to Chip and Susan Planck, for their decades-long efforts to promote rural preservation in western Loudoun by mentoring young farmers, demonstrating how even a 10-acre farm can sustain a family, and most recently demonstrating a sustainable, clustering model when developing their land just north of town. The Mayor’sLifetime Achievement Award was presented to George and Nicki Bazacco, owners of Douquenie Winery. Mayor Roger Vance described Nicki Bazacco as a “thought leader and true powerhouse” in Loudoun. She participated in numerous region-wide boards, the Loudoun hospital board, the county comprehensive planning committees and the inaugural board of our Hillsboro Charter Academy. 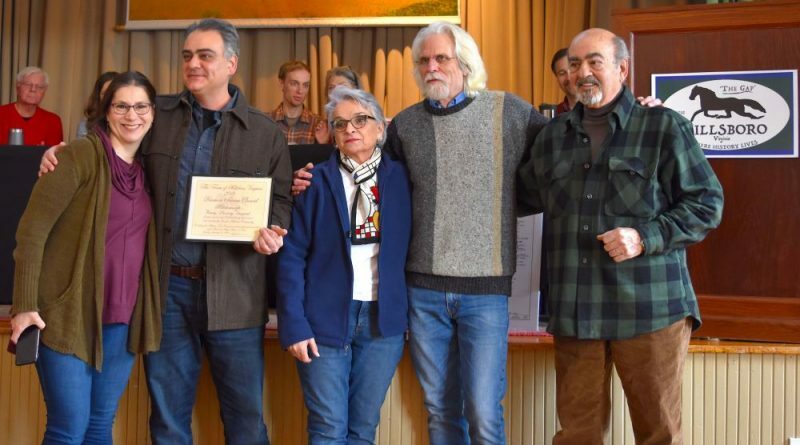 The couple also was recognized for their commitment to rural preservation by putting their winery and hundreds of acres on the mountainside under conservation easements. The Governance Award was presented to Chip and Susan Planck.